A fundamental blessing we have as human is the freedom of choice. Irrespective of the condition of our birth, our physical mental and spiritual characteristics, our family and social background, we face moments of choice in life from time to time. We can choose to do this or not do that, think this way or another, and be this kind of person or otherwise. The core choice we are making is our spiritual intention, or general attitude towards life. Do you life you live as a powerless victim, or a responsible person? As a weak self-defeating person or a strong empowering person? It is all our choice. Make good choice that align with kindness, wisdom, and devotion, and you will be empowered with strength, confidence, and continual support and guidance. Commonly translated as cause and effect, describes how choice affects our life. If we choose kindness, we reinforce the kindness potential in our awareness, and this affects of own perception and potential to draw similar kindness situation in our life. If we choose hatred, we reinforce the hatred potential in our awareness, which affects our likelihood to feel and attract anger in our life. All major religions teach us to choose the good and reject the bad, and that when we choose the good we improve our life and vice versa. This is the teaching of Karma. The individual, separate self-arises with the individual, dualistic mind. From unconscious arises consciousness and the sense of a separated, individual “I” and “self”. Ordinary people centered their effort to improve the quality of this “self”, enlightened people realized the reality beyond this “self” and therefore attain liberation and freedom from the temporariness and ever-changingness of this “self”. The ego is the self-created, self-proclaimed, self-sustained identity that claims itself as the source of one’s form, experience, states, and life. It constantly claims itself to be the author of life, makes endless comments, believes, justifications, desires, thoughts, so to sustain its own existence. It attaches itself to body, mind, spirit, and even reality beyond ordinary consciousness, i.e. I am the body, I am the mind, I am the spirit, I am the universe, etc. The ego is the identity for ordinary people, but represents the central obstacle to be transcended in spiritual cultivation. When one transcends one’s identity as a separate, individual “self”, the question remains is what’s next? Does one stop functioning in the world or does one continue? If the “self” is properly transcended, then what will be the base to make such decision? Subtle discernment is needed to answer this question, which also tests the validity of the state of the practitioner. Does one’s devotion call one to remain in the world or not? If so, is there a willingness to accept what’s calling beyond the “self” preferences? 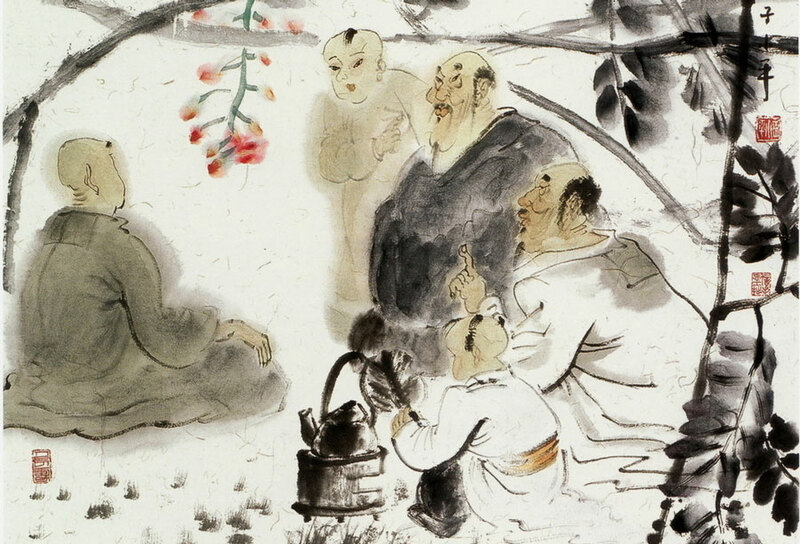 In the history, many enlightened masters departed from the world after their realization, while some remains and continue with their daily lives either as great masters or as normal citizens. If there is an arrangement to stay, it will be a subtle error and excuse to claim that for the sake of freedom, one can ignore one’s role and responsibility in life. Therefore, authentic Chinese teachings did not call for escaping from the world and ignore oneself and others, they call for living a real and normal life, and facing the world real and normally. Truth is simple, and is accessible to all. Not exclusive to any religion or to any teacher. Pay respect to the teacher, but leave the reverence only to Truth or whatever name you call it. Like the Zen master pointing at the moon, pay attention to the moon, not to the finger. The purpose of research is to collect necessary information for growth and development. One conducts an experiment to test out the validity of the information collected, and obtained corresponding experience in accordance with the level of the truth experimented. Eventually, one seeks to maintain the experience/state obtained through on-going adherence to the truth understood/experienced until it becomes a permanent condition in one’s life. It should be noted that one does not necessarily go through the above 4 stages in a linear fashion, i.e. understand->experiment->experience->integration. Some proceed with experiment and experience without understanding, some attain some experience and later explore to understand.